Roston Chase last hit a Test century against India before the exhibition of stoicism as seen at St. Lucia. It was a fighting knock, albeit a ton that came in a losing cause at Rajkot. 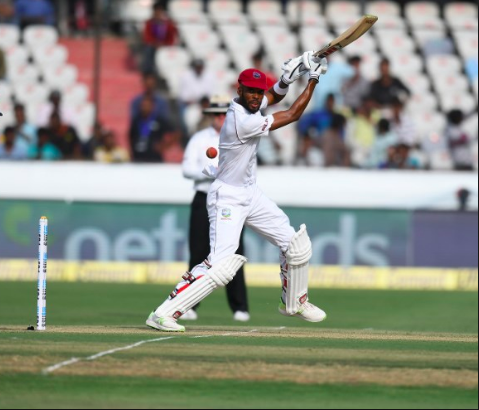 He became the first batsman from the West Indies since Darren Bravo in 2011 to have hit a ton in India. Not too bad, all thought. So when England, fresh from a 2-0 thrashing handed by West Indies (proving to the world that their cricket wasn’t really on the ventilator) arrived at St. Lucia, there was one purpose and one purpose alone. That was to salvage some pride. This, mind you, is no ordinary series. It’s the Wisden Trophy, after all. Sir Viv and Sir Botham have squared against one another for this. Curtly Ambrose has taken down many a set English batsman for this contest, be it Thorpe or Hick. Hooper and Sarwan have been deceived by Gough and Caddick in the past. And this is also a contest where someone called ‘The Prince of Trinidad’ has scored the highest individual Test score in the history of the game, not merely the series. But significances in life be damned, aren’t we all playing for pride or so must have England thought- right? 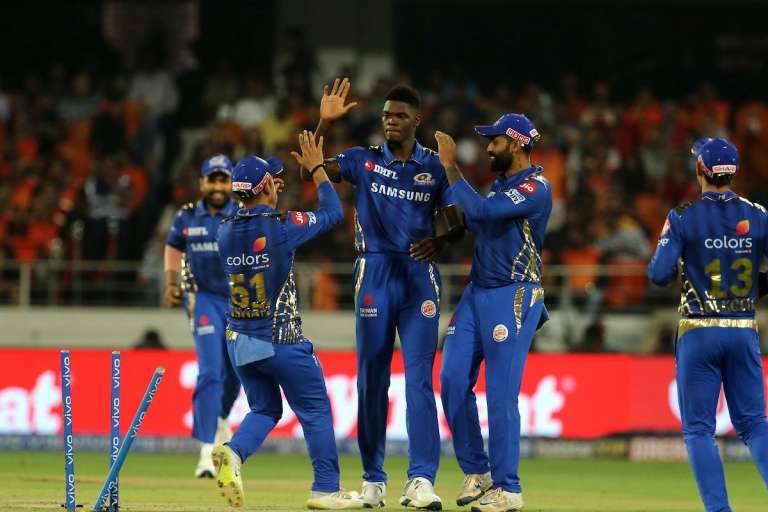 Just that, in the process of garnering a much deserving, peace-inducing 232-run win, they had to go through that tall, skinny figure of resilience down the West Indian lower order called Roston Chase. And that is precisely when the Bajan lad arose to his team’s cause, albeit failing in the end to ‘Chase’ the improbable (485) down. This, they would’ve known, wasn’t going to be some lame pushover; some vague batsman who’d succumb to pressure. This, they’d have also known wouldn’t be someone impossible to dislodge. 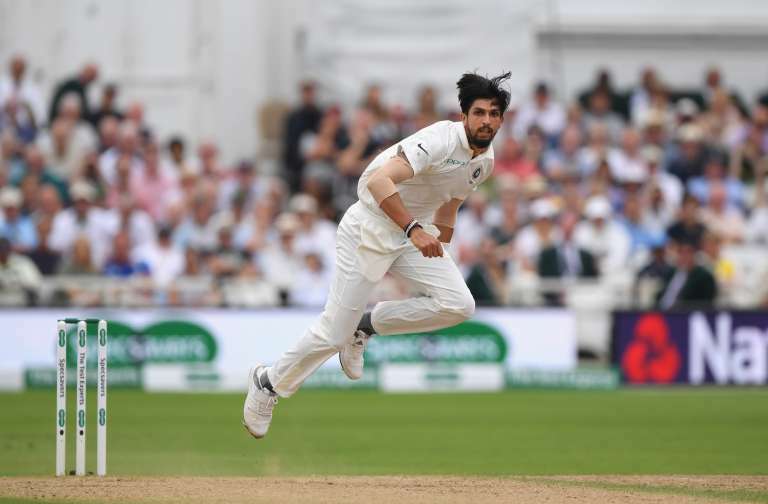 The evidence of Chase’ fragility in the middle was already highlighted by the one pitched just perfectly by Mark Wood- an unsung hero of the Test win- in the first inning where the right-hander offered a regulation catch to Burns. Any doubts surrounding that being a one-off (or freakish) dismissal would’ve been sidelined by the fact that Chase- tall and dandy that he is- couldn’t get down in time to evade Stuart Broad’s whislter that created the noise at North Sound, Antigua. But this occasion was different. The scoreboard, after all, revealed 31-4. Fans who would’ve hoped for a 3-nil Wisden triumph for their team weren’t particularly pleased by the shot of reality. 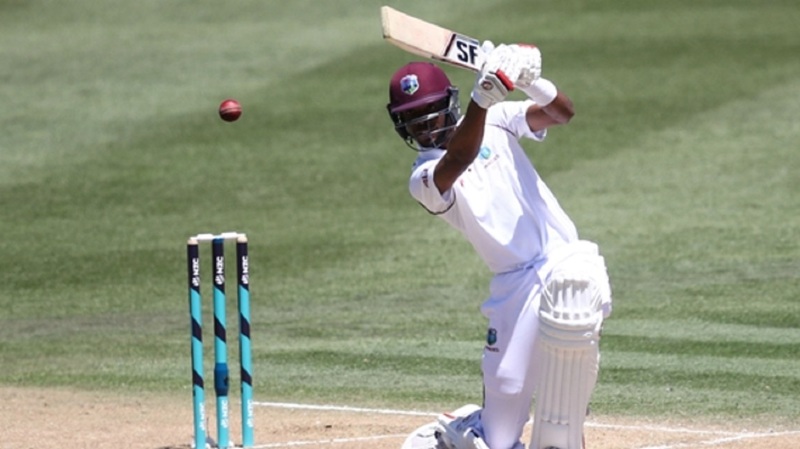 Not too pleasing a sight for anyone, whether Jason Holder watching the proceedings cluelessly at the Darren Sammy Stadium or a Zen monk disguised as (a former) West Indian batsman: Shivnarine Chanderpaul. When the going gets tough, the tough get going? You may have, at least, a hundred thousand times before. Well, make it- When the Windies don’t know where to go, in Roston Chase, they have someone with some knowing. 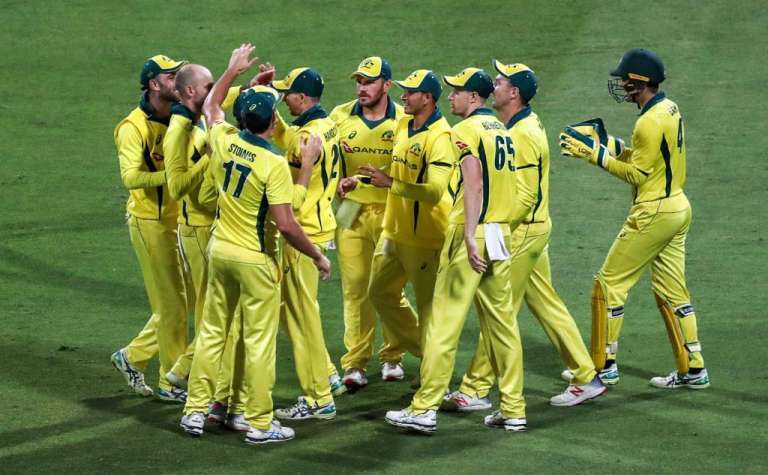 It’s just that as the scorer of a first-ball-duck came out again at St. Lucia, in the fourth innings, the sun boiling down on his team roasted already by the English- call them Poms now fans– the man was at his job. 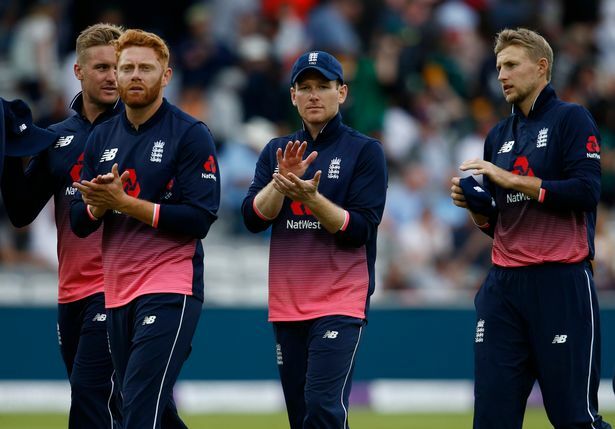 After spending a couple of sessions at the crease, showcasing the dead wood of the bat to pace and spin, under pressure, but not exactly only from the travelling bandwagon of Jimmy, Stokes, Wood and Ali, but also some intense humidity, did he raise his bat. 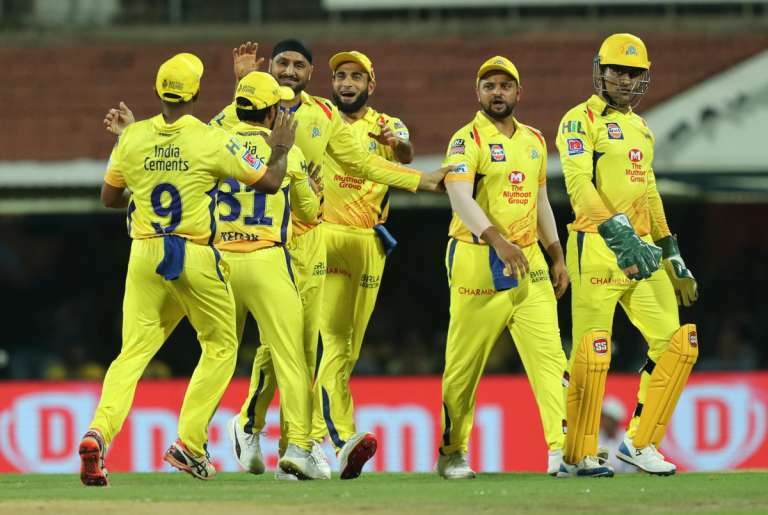 Those, exhausted by the thought of defeat, one not that difficult to evade as a familiar top-order failure returned to the fore were cheered, if at all, to an extent. A fourth-inning ton had been achieved. These ones are special. A bit like reclaiming a lost love after an onerous near break-up. A bit soothing like the sight of your mom after a busy week at work. Still, you come to embrace these rigorous hundreds with mixed feelings; for you’ve been under back-breaking pressure. Not that Chase’ case was any different. 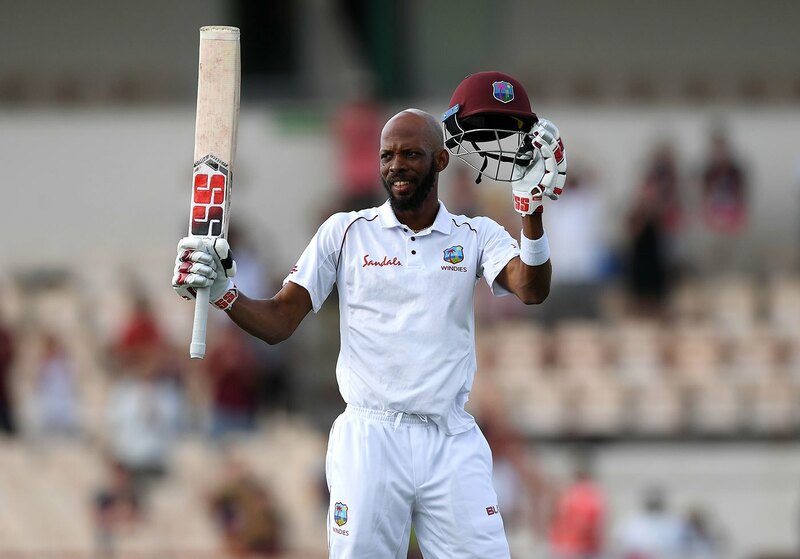 But what must surprise his team (as much as it should delight the Barbadian, who, in the process of reaching three-figures upped his Test average to 33) should be the batsmen’s failure. Maybe, in Chase- 102 not out from 191, 12 boundaries and 1 six- there was an answer on how to contain pressure. Maybe there was also a gentle reminder to both Hope and most importantly, to Darren Bravo- that there’s still a lot of work to be done. 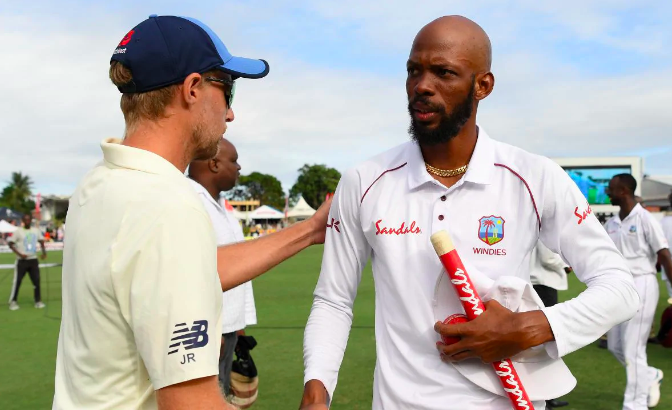 And maybe, if nothing that the Windies, proud winners of the series, can take away from the reality check at St. Lucia, they’d simply want to join hands in admiration for Roston Chase. PreviousWhere does Rishabh Pant stand in terms of India’s World Cup plans? 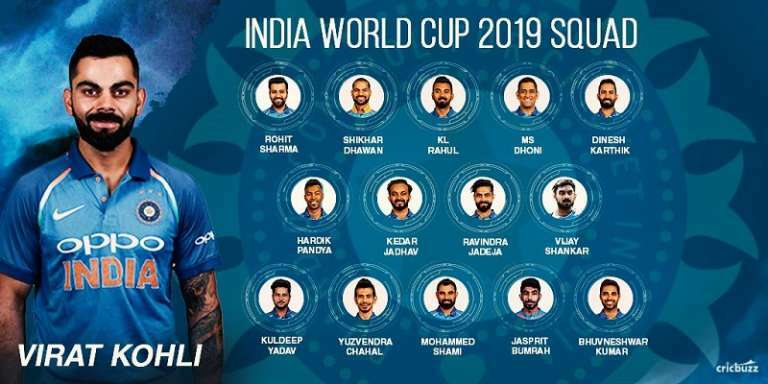 NextHas Dinesh Karthik done enough to be drafted into the World Cup squad?